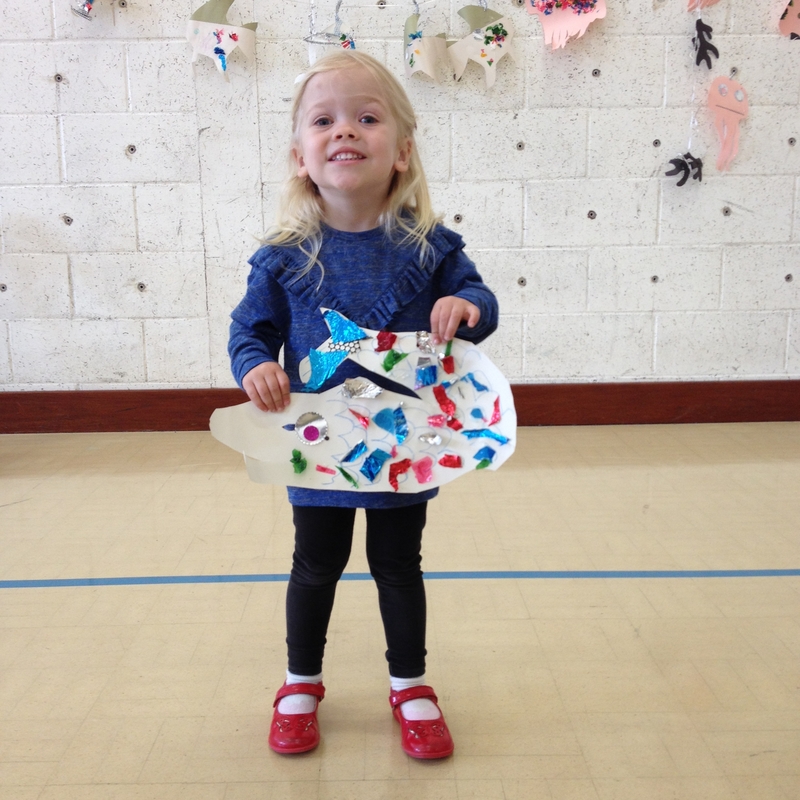 Thanks to everyone who made a scary or beautiful sea monster at our craft workshop this morning. We really enjoyed turning DC3 into an underwater wonderland with the help of a group of talented young artists and their parents, guardians and grandparents. Fish and sea monster shapes were decorated with shimmering paper, given shiny eyes and hung up on the wall to dry and make a sea bed. Each one turned out quite differently, they all looked great.